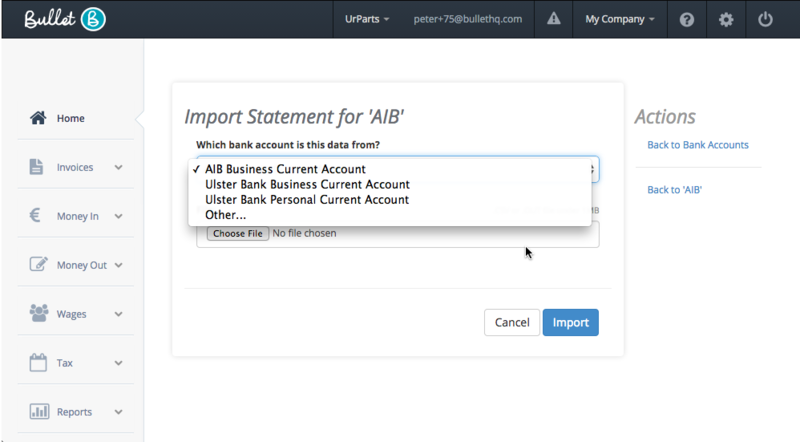 I am thinking of changing banks, and was wondering if I can import Credit Card transactions from Ulster Bank Business Internet Banking directly without the need to chop and change the downloaded file – which I currently need to do for AIB. I'm just waiting to hear back from U.Bank give me a couple. UB are going to get back to me tomorrow. I'll update the answer then. Followed up again Z, still know answer! Ulster Bank provide an .CSV or .OUT file we can. I’m having a look at our bank rec and as you can see below we accept the Ulster Bank current & business account. So you’ll have to follow the same work around that we created to fix this problem. Indeed, sadly I think it's more about the consumer. UK banks came into Ireland and left cause nobody moved over, but everybody gave out about the Irish banks. Easier to spend money on campaigns then then on something of value.